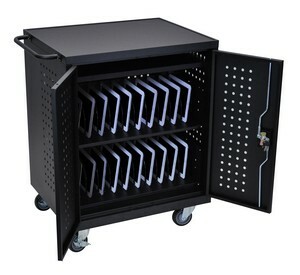 Safely and securily store and charge all your devices simultaneously in this mobile lockable cabinet, sized for tablets, Chromebooks and mini laptops. Accessible via front and rear doors. 100% Steel construction and covered by the manufacturer's Lifetime Warranty.